Investigators say a 76-year-old woman charged with murder in her husband's shooting told deputies she was angry because he accused her of cheating. 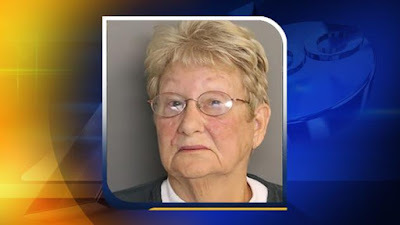 Aiken County deputies say Mary Todd also told the officers who came to her Beech Island home around 4 a.m. Tuesday that she drank too much before the confrontation. Coroner Tim Carlton identified the victim as 78-year-old William Todd. Paramedics pronounced him dead in the couple's home. Deputies say they had never been to the couple's home before for a domestic violence call. Mary Todd is also charged with possession of a weapon during a violent crime. She is being held at the Aiken County jail awaiting a bond hearing.